In my last post I showed a photo of our new door pulls and knobs. 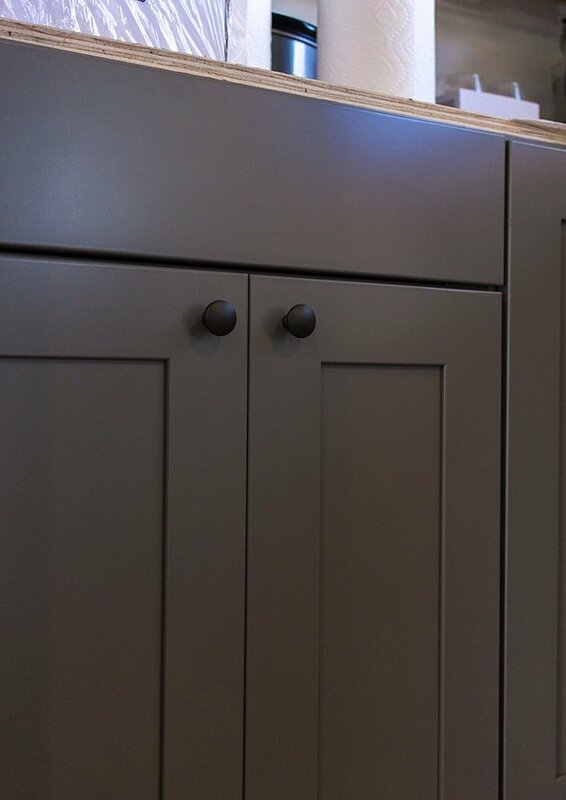 I had my heart set on the cup style pulls paired with simple round knobs, and found these great inexpensive ones on Ebay. The seller was having a free shipping special so it came to just $38 for 25 pieces… can’t beat that! They were exactly what I had hoped for in person, and the knobs went right in. Nothing a quick trip to Lowe’s couldn’t fix. Once we had our 2.5″ long screws, we built a jig out of scrap wood since the pulls had two holes and they had to be positioned exactly the same every time. 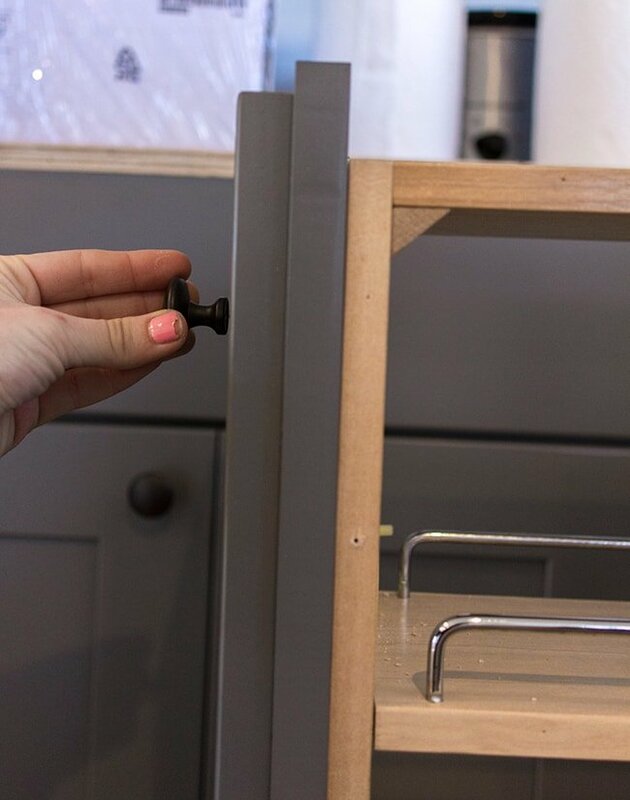 After centering it on each drawer, we drilled our holes (using a drill bit larger than the screws so they could just slide on through). It worked like a charm, and now we can actually open our doors! I’m especially fond of the black finish against the white cabinets. I am obsessed with this photo. 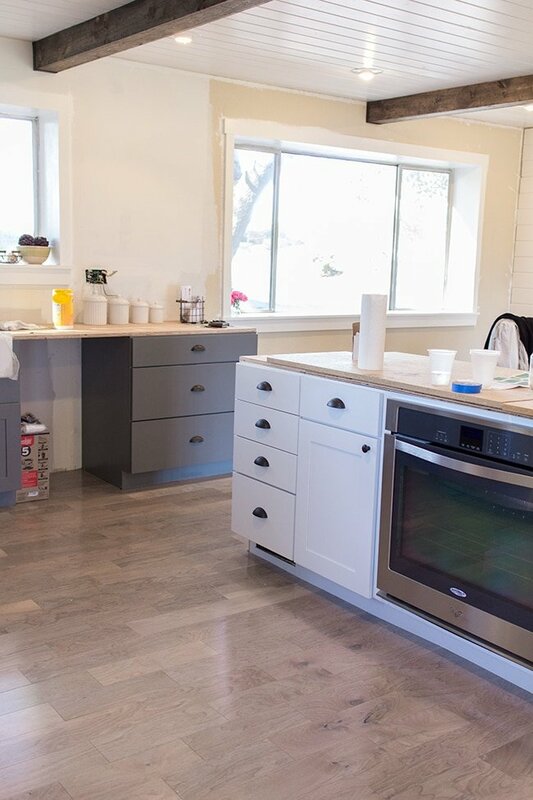 I found it while browsing Pinterest and it has become one of my biggest kitchen inspiration photos for this remodel. 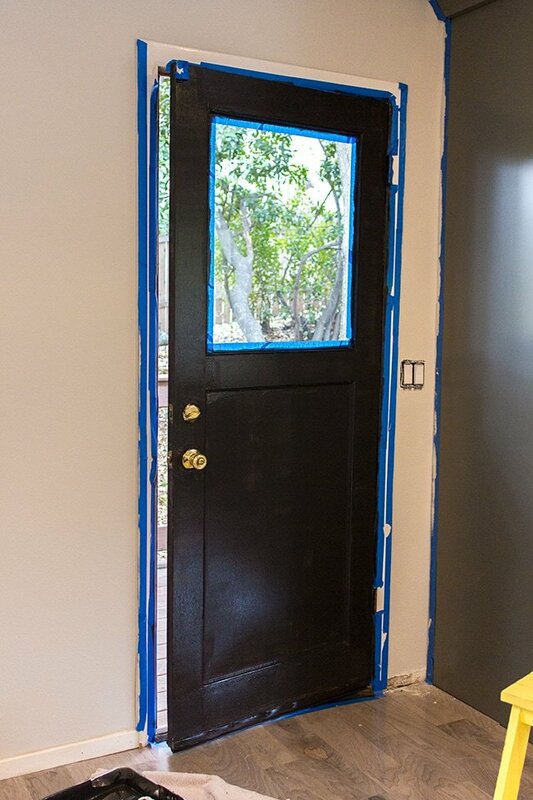 There was no hesitation—I was painting my door black. 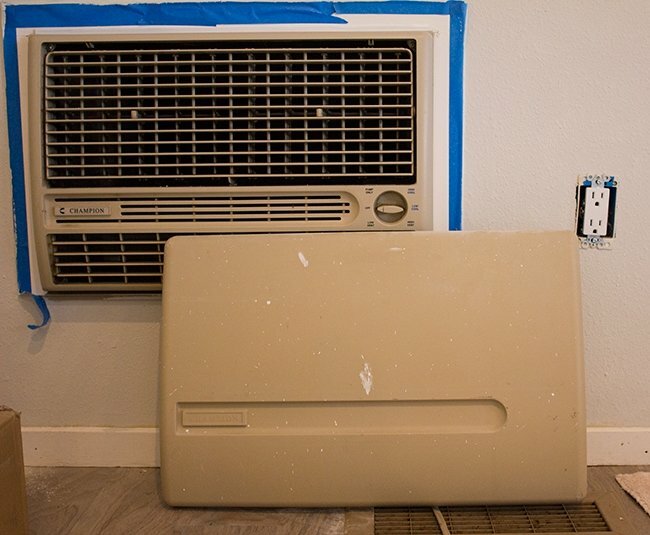 Of course I needed to paint the wall too, and that horrible plastic swamp cooler. I painted the walls in the same barely there gray as my studio, then moved on to the door. I had to spend a good amount of time prepping—scraping texture overspray, scrubbing, taping, patching, sanding, caulking, before it was ready for paint. 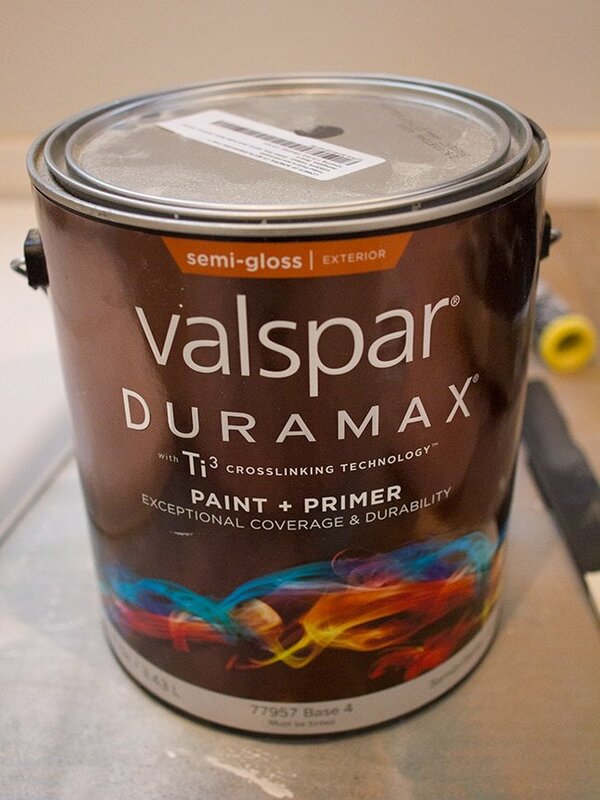 I picked up a gallon of Valspar’s best exterior paint in Dark Kettle Black (not exactly cheap, but highly recommended). It’s a soft smoky black in semi-gloss. But the second coat changed my mind. Three coats was all it took. I painted the outside as well. Here’s the first coat again for fun. While that was drying, I moved my attention to this eyesore. 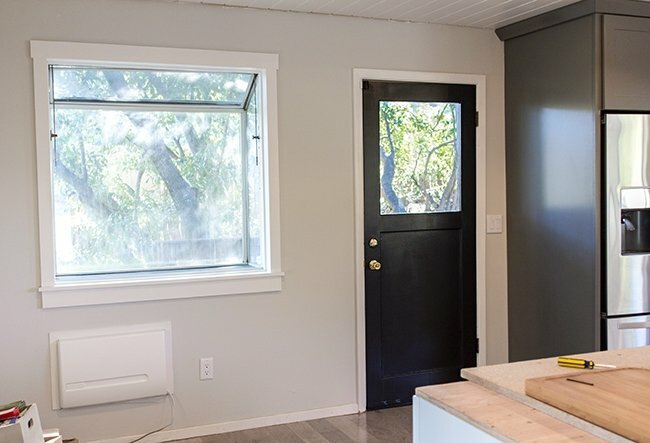 I debated on whether or not to paint it the same white as the trim, or the wall color. In the end, the white won out. 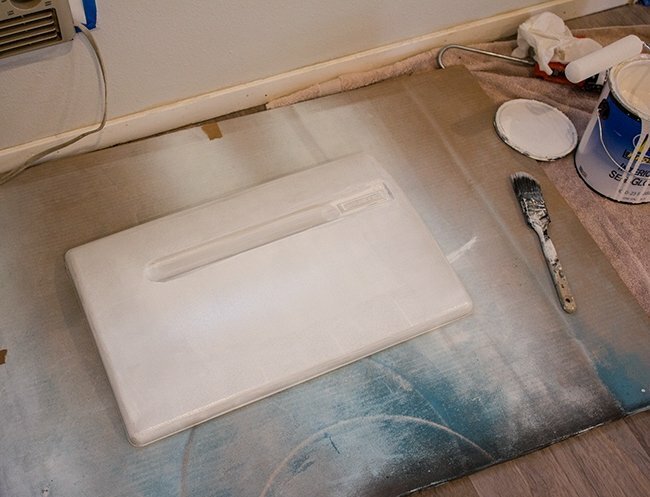 Plastic isn’t easy to paint (with latex paint and a brush/roller, at least). It took many coats. And this part was a nightmare. It didn’t go on smoothly so I had to just keep piling the paint on in hopes it would eventually cover the beige. In hindsight I could have spray painted it, although the whites wouldn’t have matched—so it’s really a toss up. Finally I decided it was good enough and I’m happy that everything matches now. We still need to shorten the wire before plugging it back in, and replace the baseboards so ignore the unfinished parts. 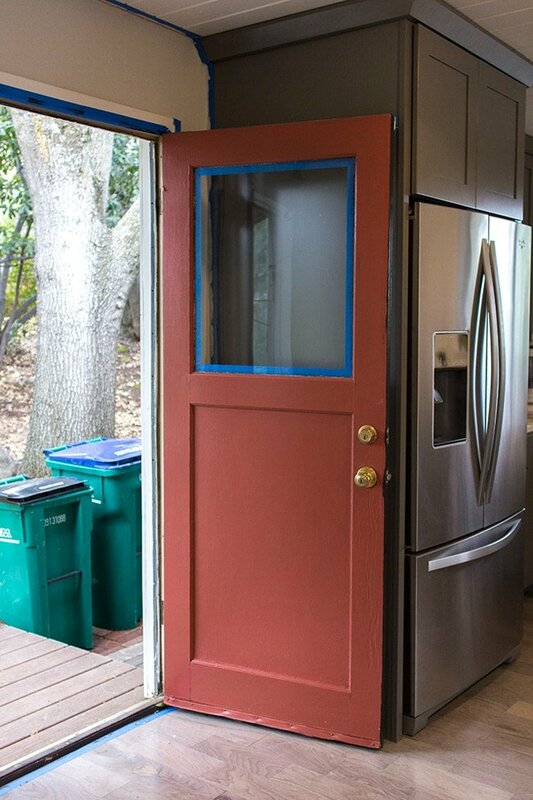 Don’t worry, I’ve already ordered new door hardware to replace the polished brass. I love the contrast against all the white & grays. 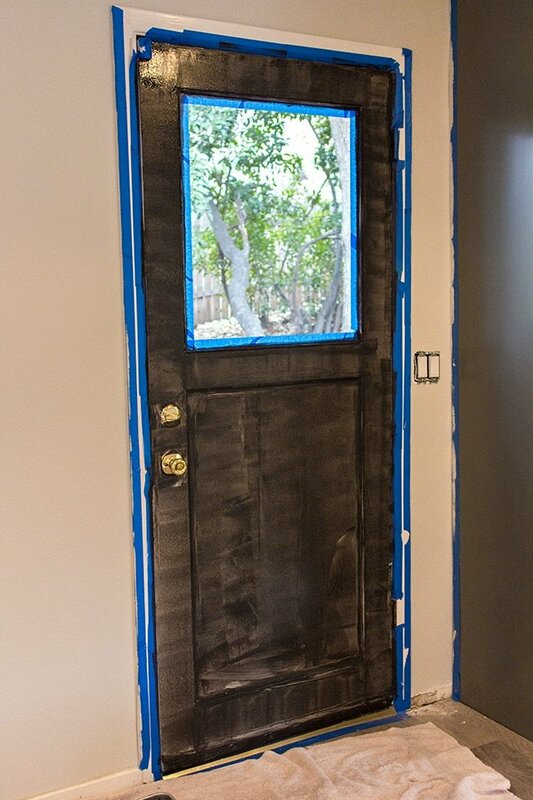 I bought enough paint for the front door, so that’s next! If you follow my instagram, you may have seen this video from Saturday. This cat has been meowing at our door for the past week now. While I was painting the kitchen door, she came up and started meowing “Hewwo? Hewwo? Hewwoooo?” (seriously, that’s exactly what she says). So I said hello back and gave her some food. She devoured the entire bowl in seconds and I knew she didn’t have a home. 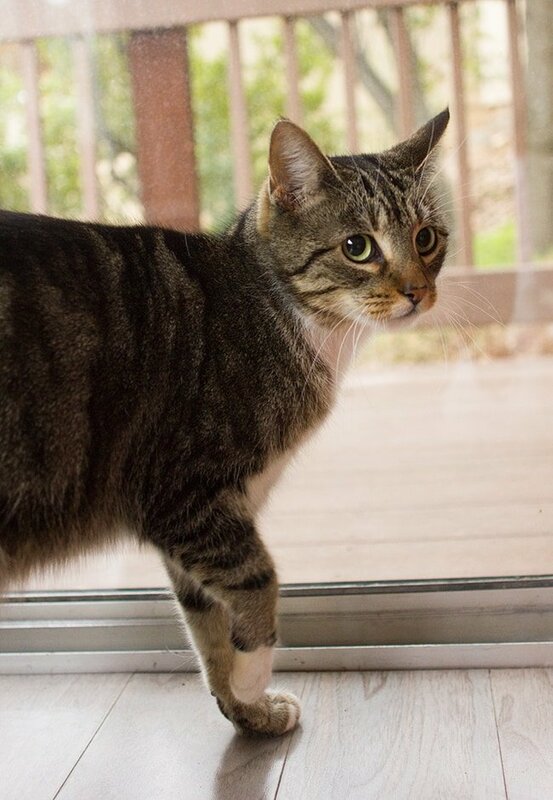 She wasn’t feral—very affectionate and wanted to be inside so I have a feeling she had a home before and was abandoned. Our neighbor said she has been around for a while and didn’t belong to anyone—we think she’s been living underneath our house (our subcontractor said he found evidence of a cat living there a couple months ago). My heart broke for her. How could we say no to this face? So, now we have Biscuit. It has been a kitty stand-off in here all weekend. Susie is more curious than anything, but Biscuit is used to defending herself in the wild so it makes sense that she has an aversion to other animals. Biscuit is still going to be an outdoor cat—we’ll let her in when she meows but I feel so sad for Susie. First we uproot her and put her in this strange house and then we add this other animal to the mix, who eats her food and makes her uncomfortable in her own home. I’m trying to give her extra love and attention so she doesn’t feel betrayed. They’re on the same bed! Brad brought Biscuit in and pet her while I pet/calmed Susie—and even though there was a stare down contest and lots of growling, neither one jumped off the bed when we left the room. They still have lots of issues to work through, but I hope they can become BFF’s one day. Any advice on how to make cats not want to kill each other? Planking round 4, here we come! 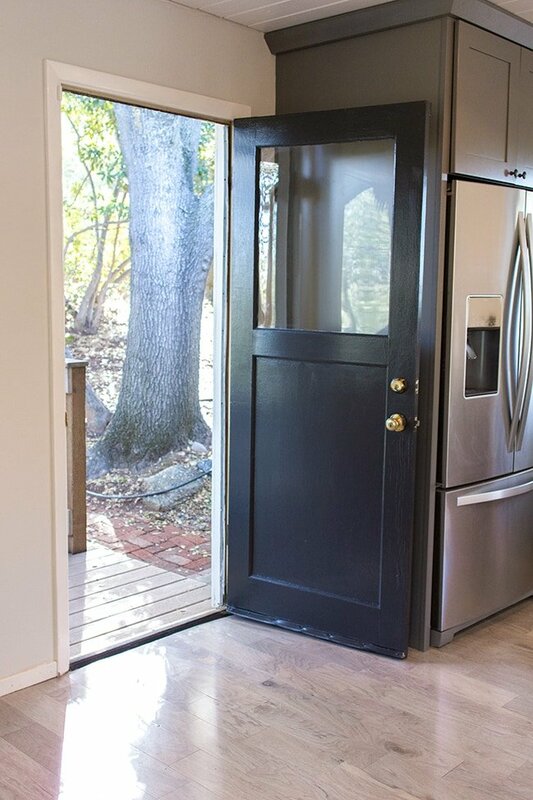 I LOVE the black door! 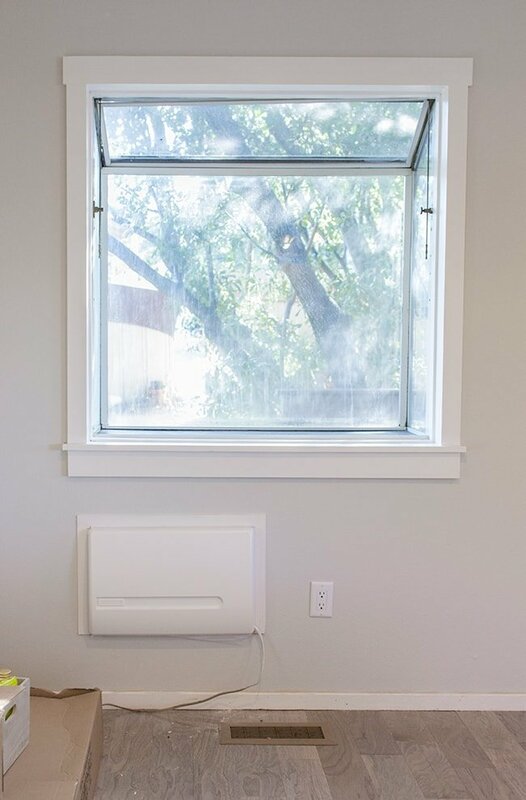 You guys have done such an amazing job on everything – I really enjoy following along with all your renovations & design plans! Excited to see what's next! I am loving following along with all of the house updates! You've done so much in so little time! 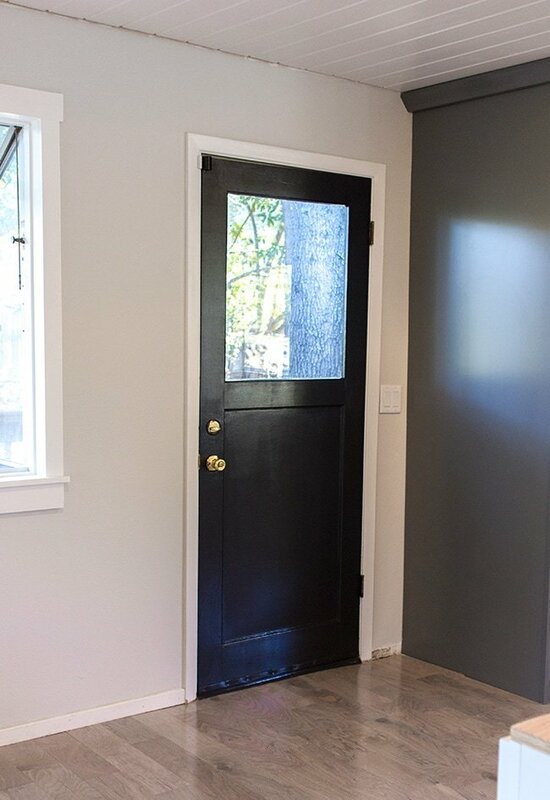 Looove the black door. As for cat tips – we took in a cat from a deceased relative a few years back. 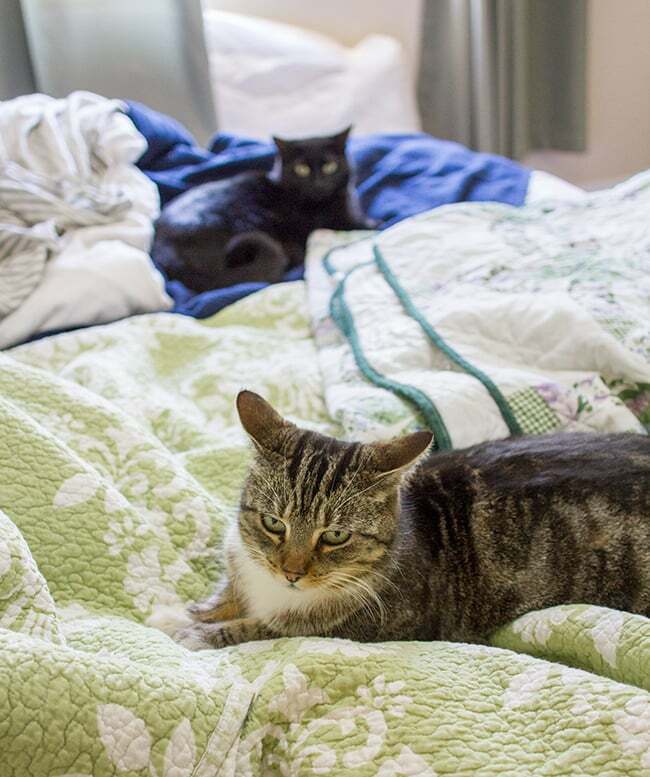 You may feel you are already past this point since they already managed to share a bed, but if you wanted to back track a bit you should separate them into two rooms that have an adjoining door that has some clearance for kitty paws. Give them each some new toys, and then switch them a few days later so they can get used to each other scents. 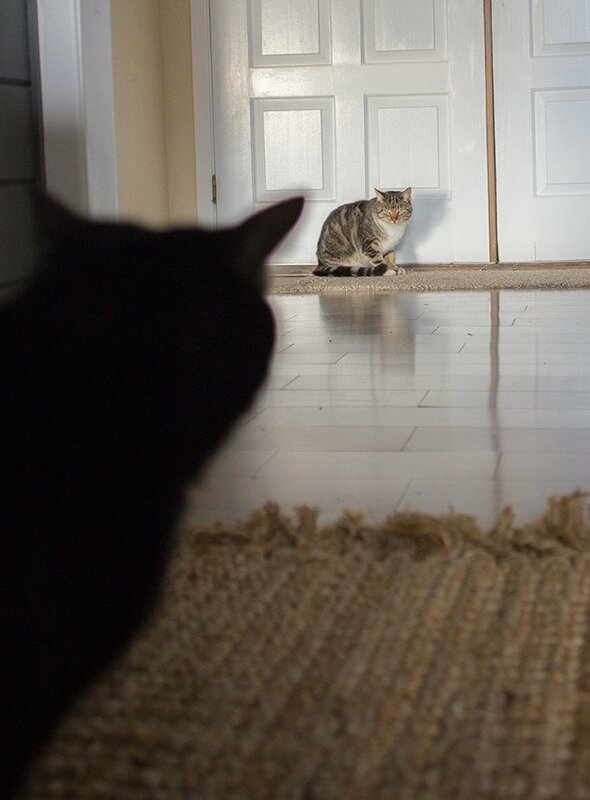 Eventually, their curiosity should take the better of them and they should begin to play with their paws under the door. Lastly if you haven't already, you should probably bring Biscuit to the vet to make sure there are no diseases that can spread to Susie before you let them interact any more! We kept our cats separate for about a week before we allowed them to interact and they are all very happy together now. It can be trying at times but best of luck!!! I love how your kitchen is coming together. 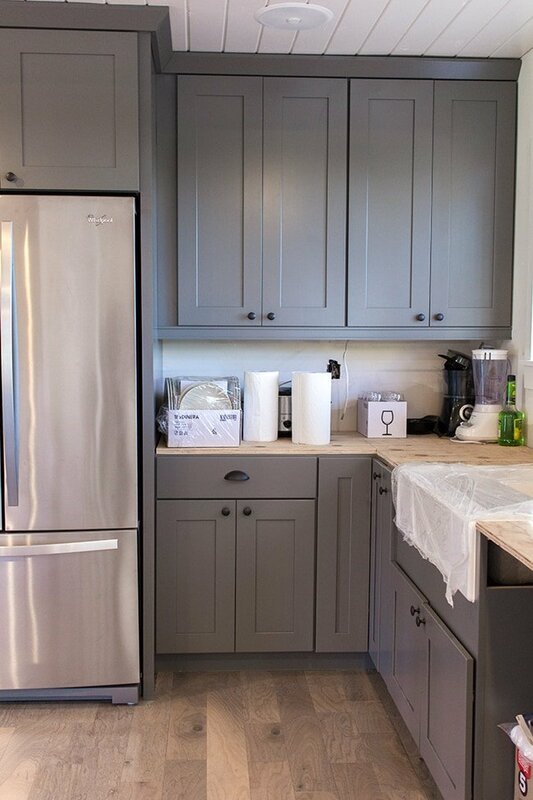 The combination of colors is great – loving the gray cabinets! I introduced a stray cat into my home years ago, already having one cat. They hated each other at first too, it just takes time. I don't think there are any special tricks. Eventually they realize they are both there to stay. They grew together and started playing together all the time – hopefully yours will too, good luck! Great advice, thanks Kayla! I just called some vets today and I'll be taking her to get spayed and vaccinated this week. I'm really enjoying the pictures of your new house! For your cats, there are pheromone collars, sprays, and wall plug ins that are supposed to help calm cats when introducing a new pet. I've never used them myself, but I know others who have had success with them. I think you can get them at most pet stores. Good luck with both cats – they are both beautiful! Your house is coming along beautifully! 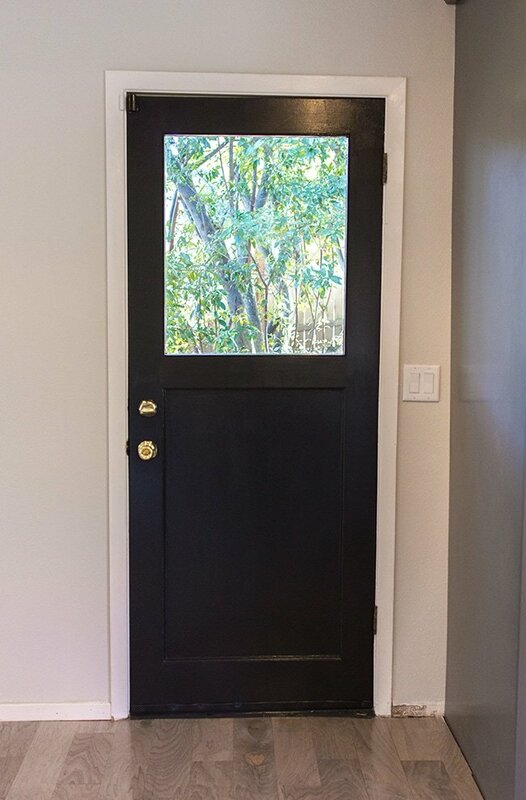 I really love the hardware and black door. Good luck with the new kitty! So great of you guys to take her in. I have no advice, we got a dog in September and our cat is still mostly in hiding. Everything looks soooo amazing! I have a couple questions for you since you seen to have mastered planking. 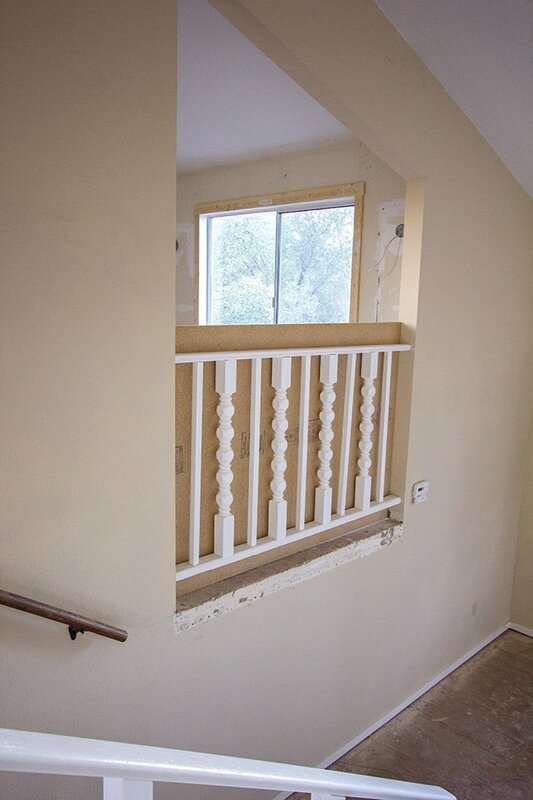 I am going to try and tackle one wall in my house but it happens to be a 22ft wall with vaulted ceilings over two floors of stairs (yikes) I am debating going the faux route like you did in your last house (possibly even using hardboard instead of plywood) in your experience which would you recommend considering I have multiple angles from the ceiling vault and stairway? 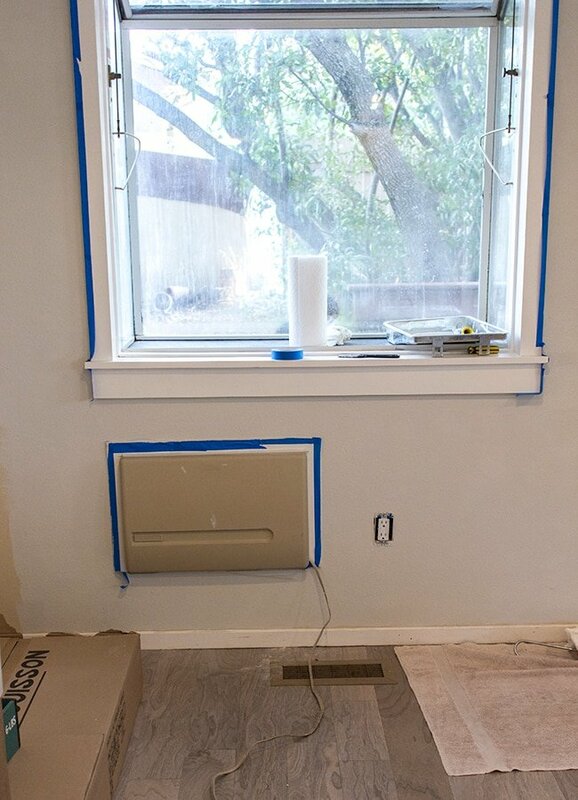 If you feel confident enough in your DIY abilities and can afford the extra expense of tongue and groove planks, that would definitely be my recommendation! It's really the same process as installing the ripped boards, but they lock together instead of spacing them out. Sometimes they just need a little forcing in—and that's as difficult as it gets. 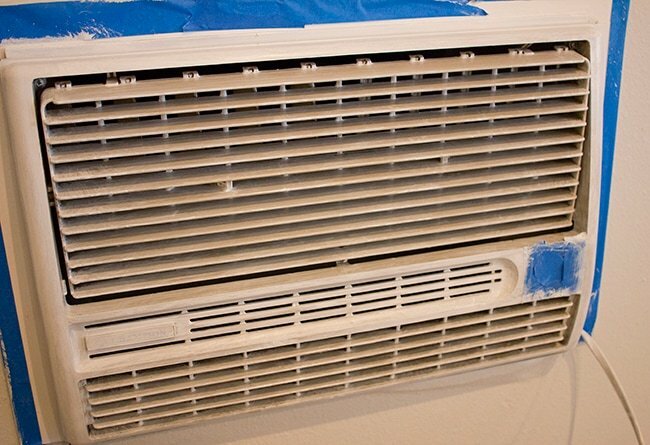 I think the results are significantly better, and if it's a home you plan to stay in for a while it may be worth the added expense to have the real deal. Plus it's a hassle getting sheets of wood cut (especially a room that big) and hoping they are perfectly straight, which usually is not the case. If you do use hardboard though, make sure you get them thicker (at least 1/8″) because the hardboard I saw at Lowe's was so thin and flimsy, I'm afraid you'd barely be able to see the planks once they were up. And the last thing you want to do is spend all that time and effort on a project with barely noticeable results! Good luck! It looks like the cats are off to a good start, already on the same bed! Sometimes it takes a month or two, but they warm up eventually. I recommend you feed them in the same room and hang out in there while they eat. Also, as weird as it sounds, rub each one with an old towel/rag and leave it where the other cat hangs out, that way they can learn each other's scents without having to be near each other :). 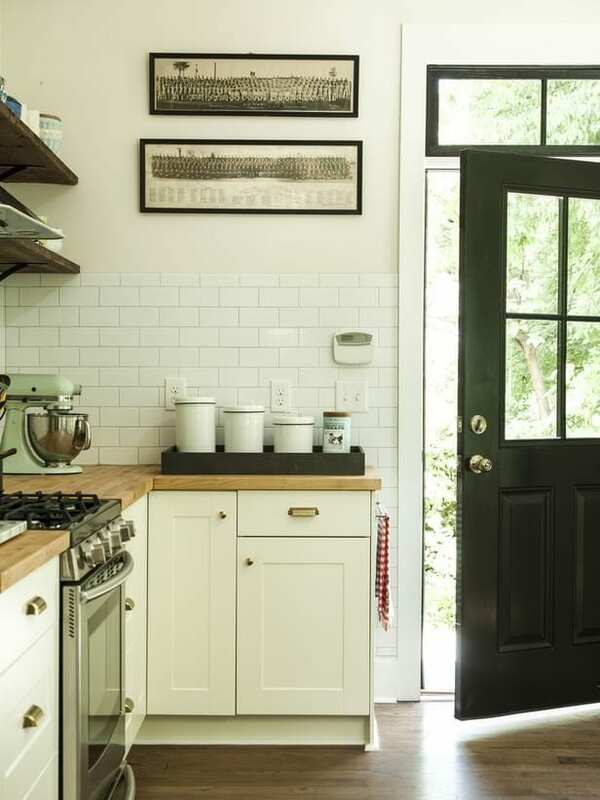 Also- LOVE the black door and draw pulls! the kitchen is coming along great!! 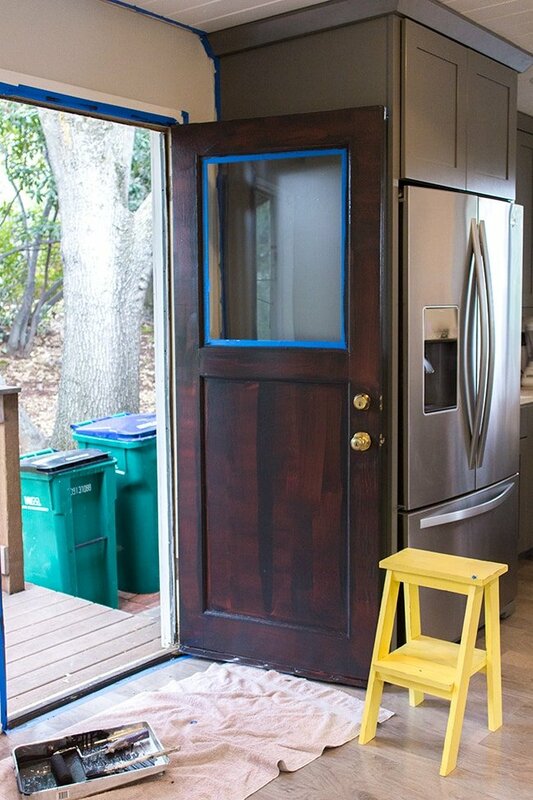 The hardware and door look gorgeous! And Biscuit, what a great name for a gorgeous looking kitty. So happy that you can help her 🙂 I'm a former humane society volunteer so I've had tons of practice putting animal strangers together and getting them to relax. My advice would be echoing what others have said – and that it takes time (on the order of months, usually; longer the older the cats are and shorter if they are both spayed/neutered) but eventually most kitties really like having another cat around! I bet eventually Susie and Biscuit will be great friends. try a felliway or Comfort zone diffuser. We've had some success getting an older girl to accept a new kitten in my house and 2 confirmed rivals to sit in the same windowsill at my friend's house with them. Here's a link from Amazon. The kitchen looks amazing, as always! I love those colours together, too! 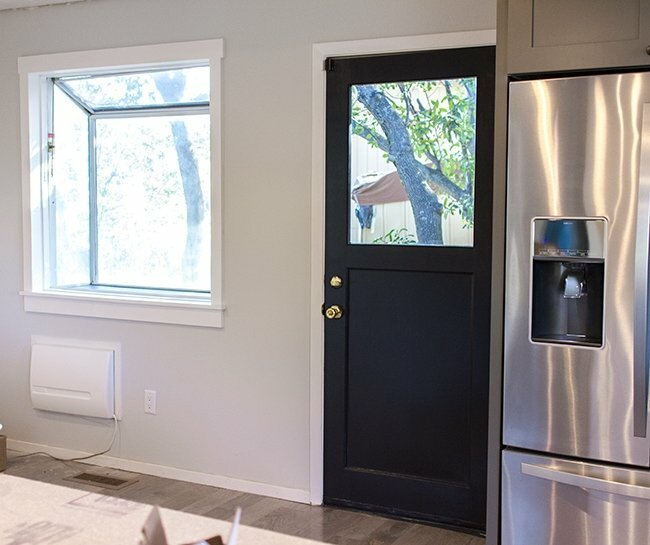 Is it common in there that you have those basic cabinets and cabinet doors? Here in Finland most people want big drawers instead of lower cabinets. I wish I could pet your new familymember, she is so cute! Thanks Jenni! Yes, it's quite common. 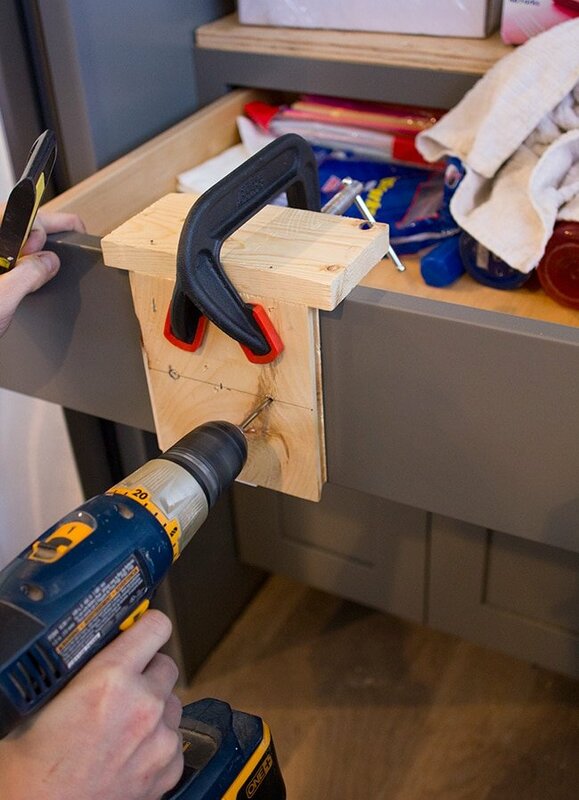 Having an open cabinet is helpful for storing taller items, although drawers are more convenient. They are also quite a bit more expensive than doors though! I love love love your kitchen so far! 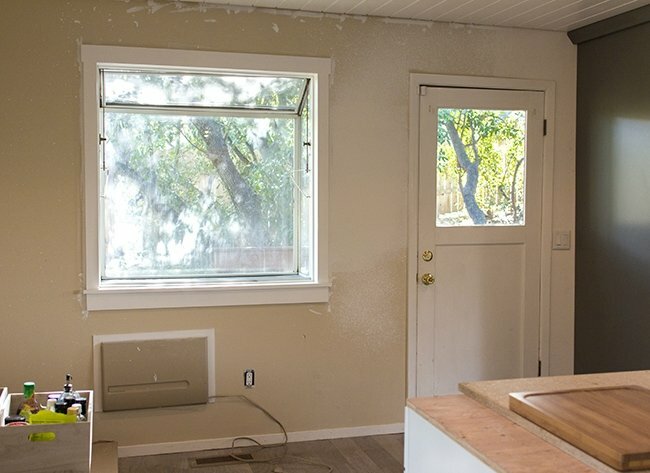 What brand/style are your kitchen cabinets? 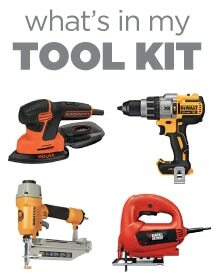 Are you planning on posting a final post regarding the installation of the cabinets – i.e. how install went, were you happy with the final product, etc…? I'd recommend taking your pretty new family member to be vaccinated- who knows how long she has been without good care. I'm really glad you took her in. I actually teared up when I saw your instagram post a while ago so I'm really glad you are taking her in. They will eventually get used to each other. Just did that today—she is healthy and up to date! Spaying is next. In that post, there's also a link to a post from a couple months ago with all of the specific cabinet details. Hope this helps! I loved that video when you posted it and I'm so happy you took her in! My cat is a one woman show but whenever I have to watch my cousins cat it gets crazy in here! After a few days I'll find them sitting on the couch together and the growling subsides. They will eventually learn to live together but I totally get the feeling of guilt! By the way, the kitchen looks fantastic! i may be a freak, but i actually like your eyesore. it looks vintage :). i would probably want to spray it silver and call it art. Hope the cats are getting along better now! We brought a new kitten home about 6 months ago and our 2 older cats (1 is now 12 and the other 4) were not happy with me at all! They hissed and pitched fits for a bit but now the younger one wrestles around with the kitten and they love each other dearly. It just takes some time for them to grow accustomed to one another. 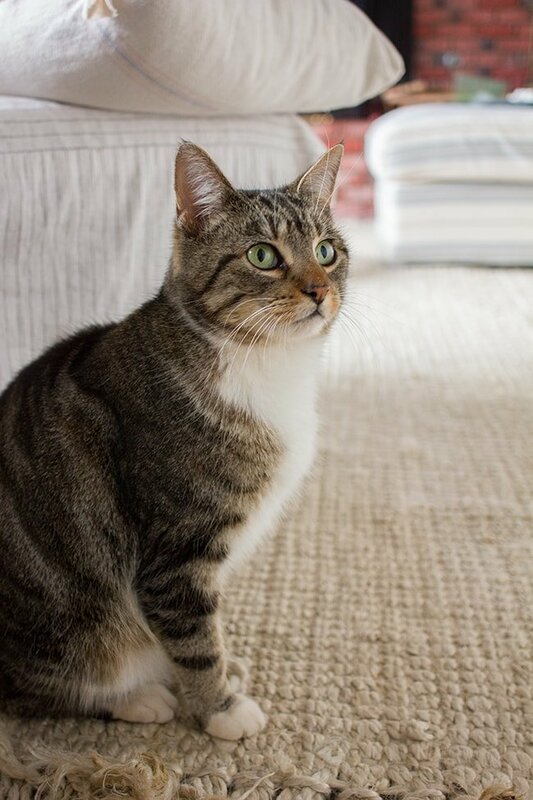 So wonderful that you took Biscuit in and gave her a loving home! Wish more people would open their hearts and homes to animals in need like you did. Kitchen looks fantastic, by the way! I did an entire kitchen in my last house and will be doing another in my current house! 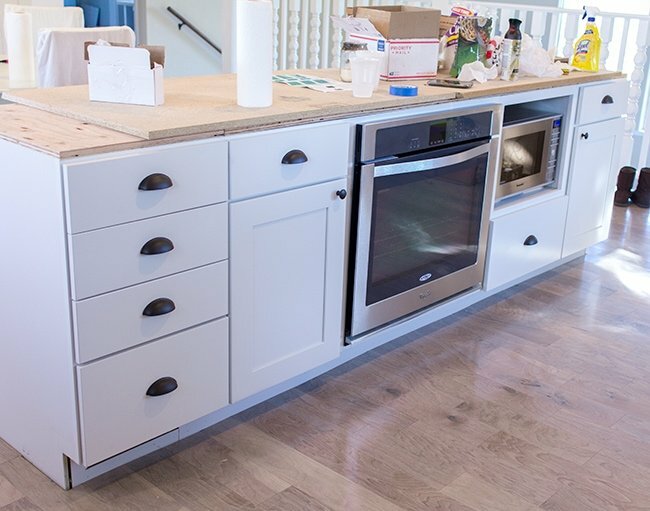 May have to make the transition slowly though – may be interim design fixes like painting existing cabinets until new custom cabinets can be purchased, etc. You've probably answered this somewhere during the kitchen remodel so I apologize if you already have. I would like to know what paint color you used for the walls and what sheen. Stunning kitchen. So calm and restful as opposed to so many busy-looking kitchens. The pink flowers are so adorable. You are a cottage girl at heart, aren't you, whether it's on the ocean or in the mountains 🙂 Thank you.